Now more than ever, it has become extremely critical to a company’s success to be able to lower internal and operating costs and reduce wasteful spending. Successful companies are always looking for new ways to reduce costs without cutting corners that could have a detrimental effect on the quality of goods and services they provide. 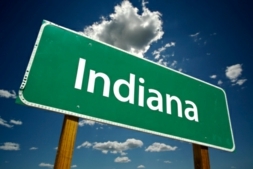 The innovative thinking in the state of Indiana has lead their economy in an advanced direction on cutting-costs. Indiana is a large consumer of fossil fuels but is starting to turn the corner by researching and applying alternative energy resources such as hydroelectric and wind power. The advancing economy in Indiana is paving the way for new opportunities for business professionals to become successful. When our clients prepare to bolster their career by using an LCD projector to present their research in Indiana, they turn to Rental Projectors Corporation for all of their LCD projector needs. Our clients and potential clients alike in Indiana often ask our rental specialists why renting a projector is a more cost-effective decision than purchasing one. Elite DLP projector equipment can cost upwards of well over a thousand dollars. This is a costly upfront investment especially for smaller businesses and in the end the investment rarely pans out as profitable. Renting advanced presentation equipment is a way for business professionals to use a projector only when they need to, which saves you and your company a tremendous amount of money over time. Most of the time, when a company purchases a projector, it spends a lot of time in storage, where it is vulnerable to many elements that can harm and even destroy the projector which ruins your investment all together. The technology in multimedia presentation equipment advances every day, and new and improved DLP projectors are always hitting the market in Indiana, which quickly leaves your expensive projector outdated and even obsolete. Choosing to rent one of our industry-leading LCD projectors is a surefire way that you and your company will always have the ability to obtain the most exceptional DLP projectors on the market for your next presentation in Indiana. Choosing to utilize a presentation equipment rental is a good decision when considering how to lower operating costs. Choosing one of our state-of-the-art rentals from RentalProjectors.com is an even better decision because you and your company can be sure that you are not cutting corners only costs, because we only carry the most technologically advanced presentation equipment for our clients and potential clients in Indiana, and all across the United States.